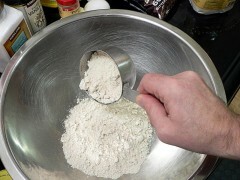 If you’re just trying to avoid wheat, grab whatever oat flour you find. 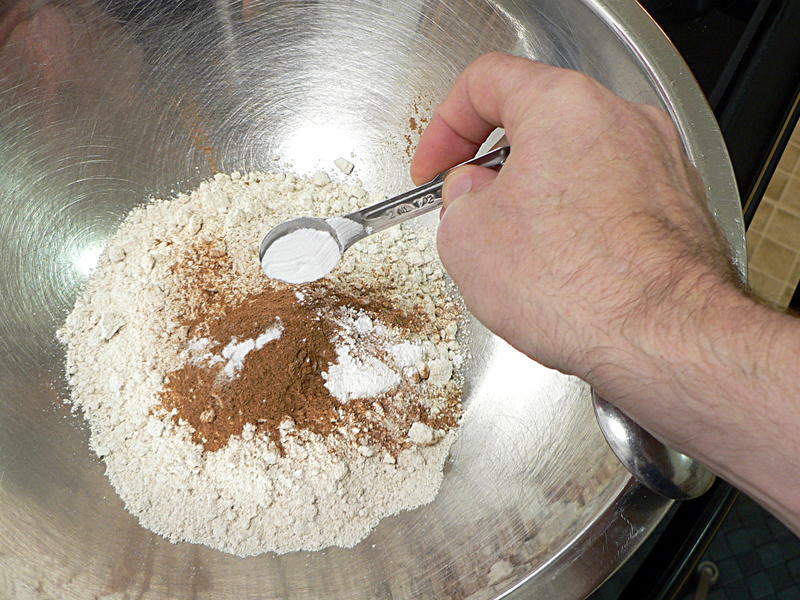 But be aware that while oats don’t contain gluten, most oat flour is produced in the same factories that produce wheat flour so there’s a high chance of cross-contamination. 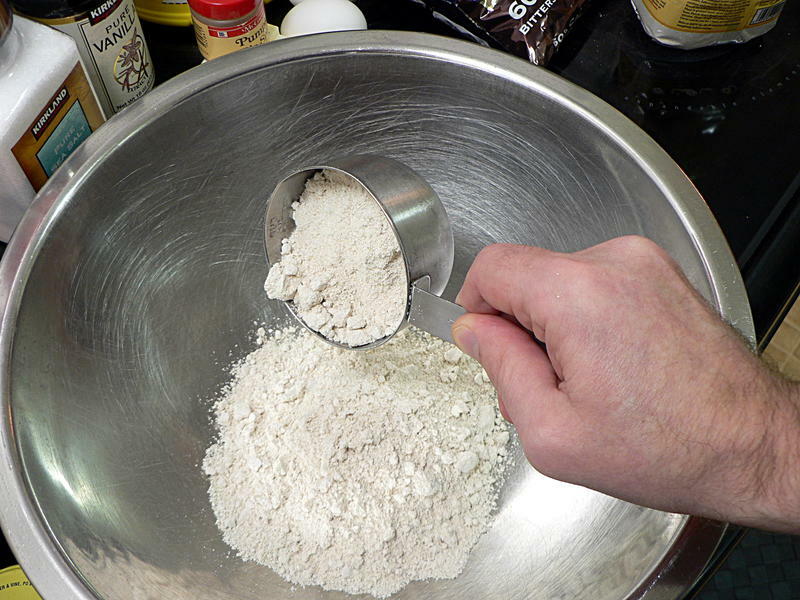 If you have celiac – or you’re cooking for someone who does – make sure to find one that specifically says “gluten-free oat flour”. 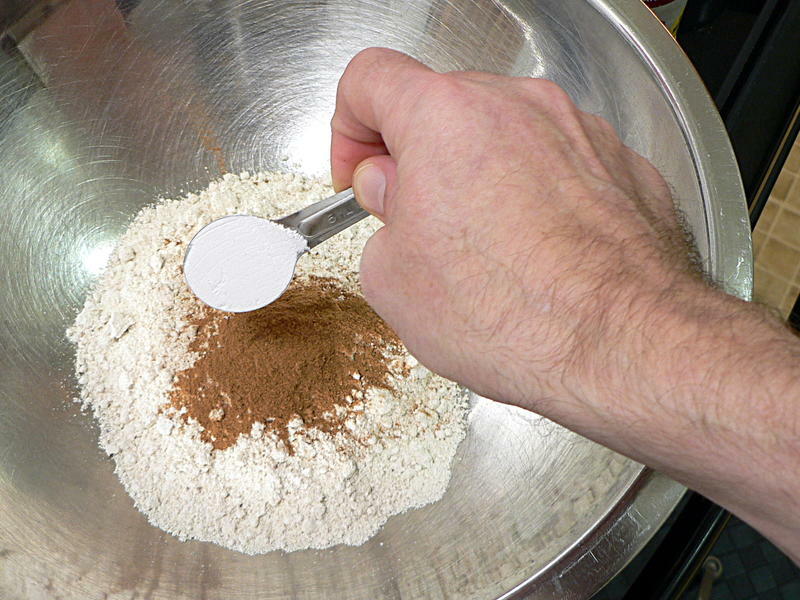 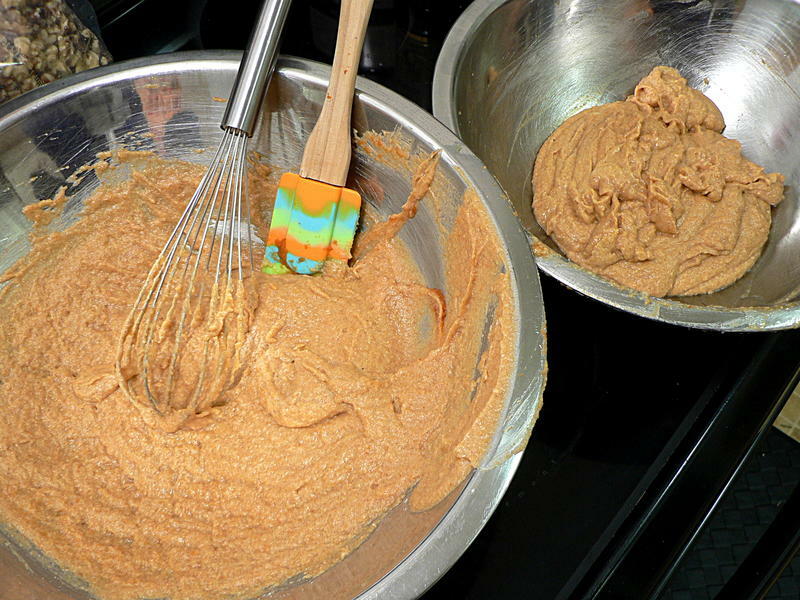 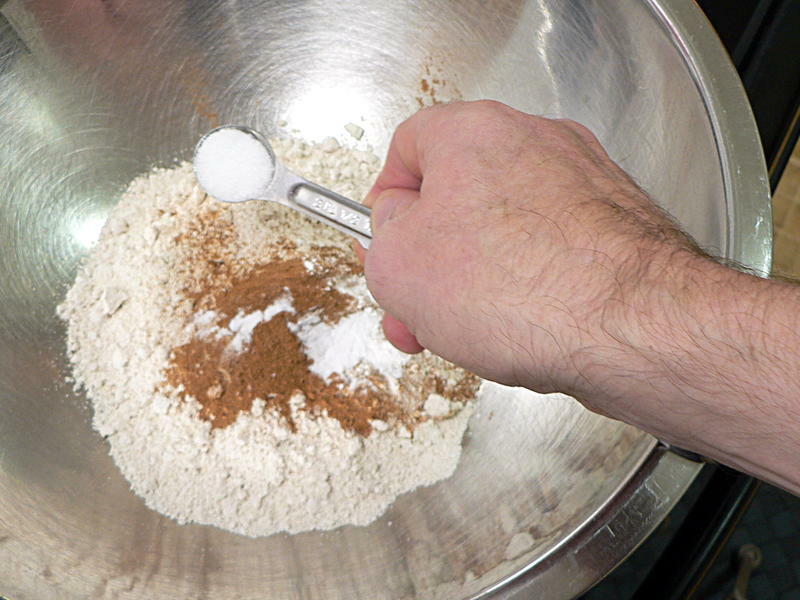 Combine all the dry ingredients – flour, pumpkin pie spice, baking powder, baking soda and salt – in a large bowl and whisk together. 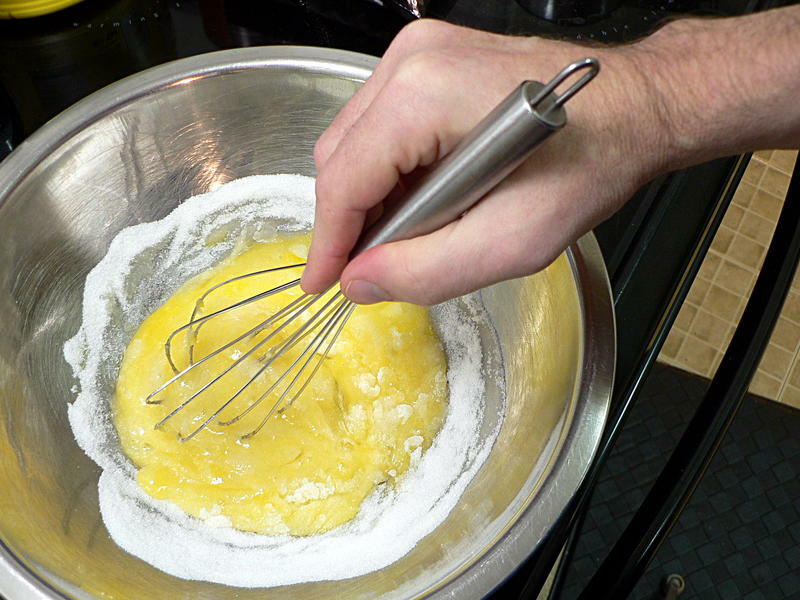 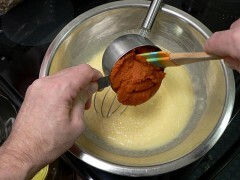 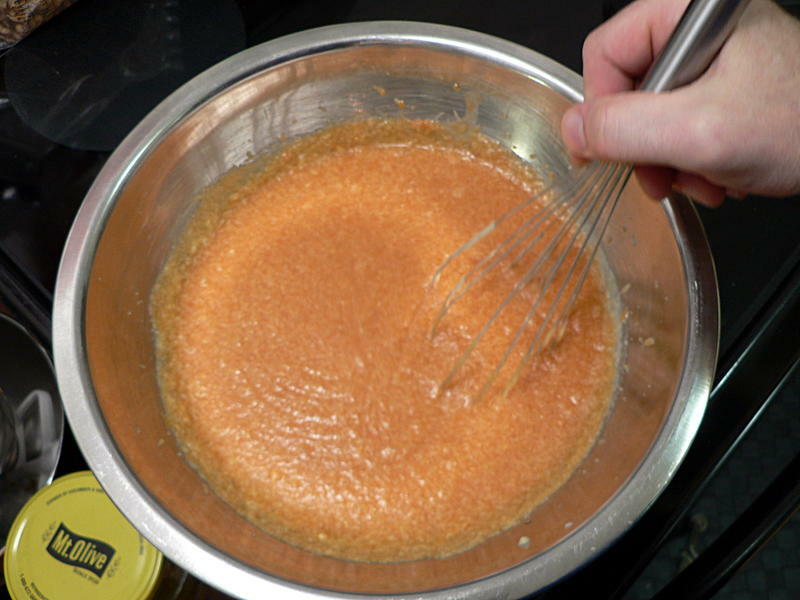 In a second bowl, mix the eggs and sugar until smooth and creamy. 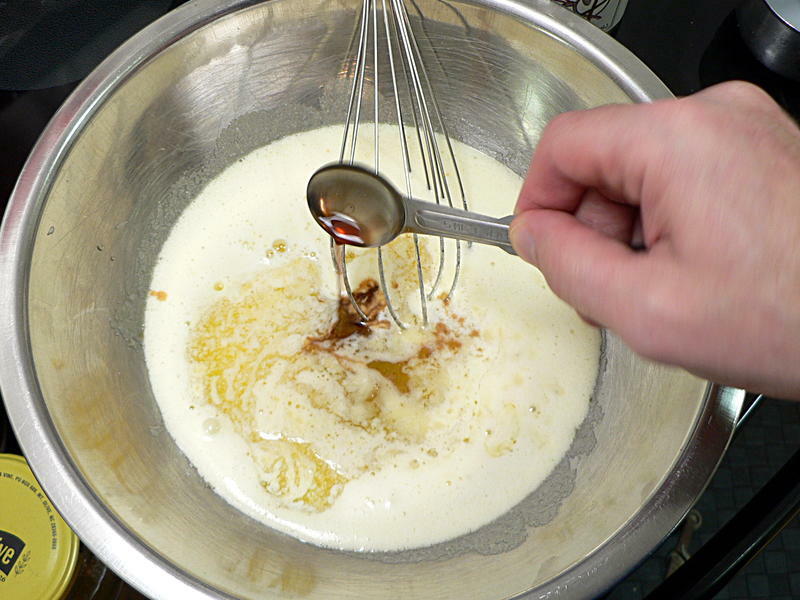 Stir in the melted butter and vanilla. 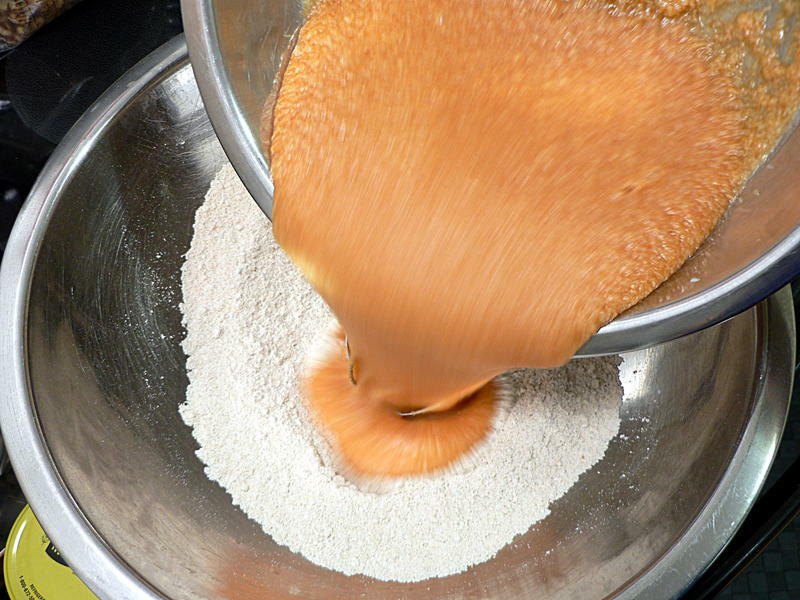 Finally, stir in the pumpkin. 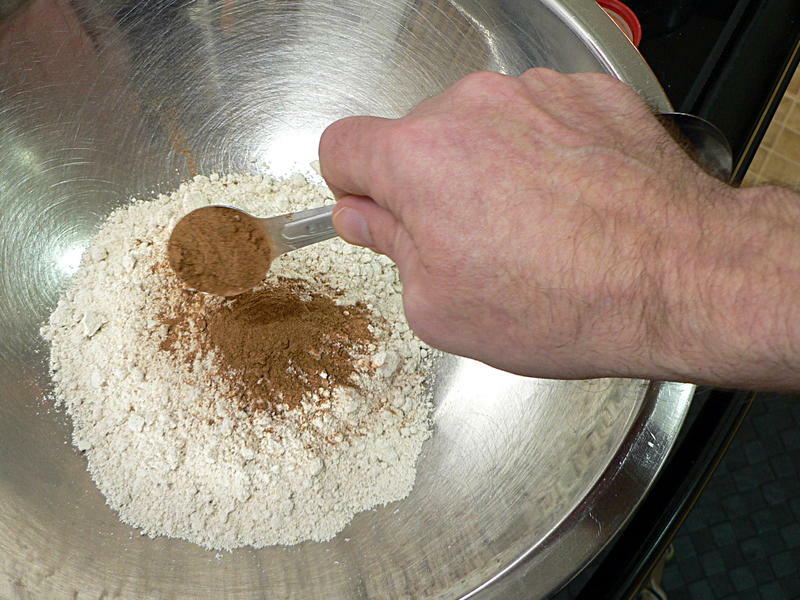 Add the wet ingredients to the dry and stir until just combined, but don’t beat it. 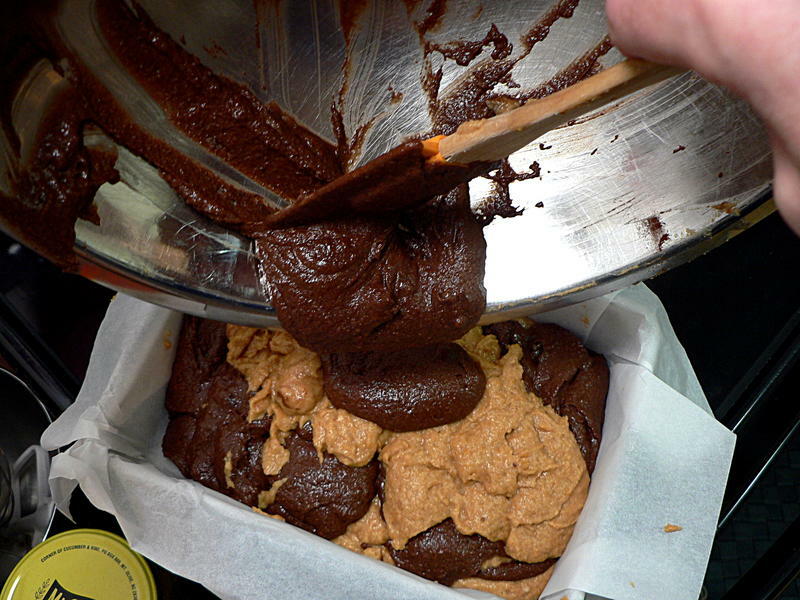 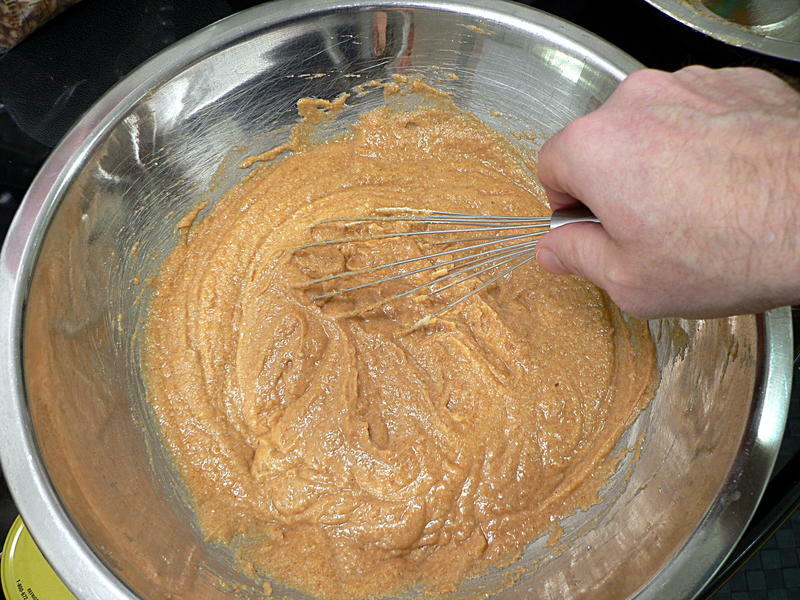 Divide the batter in half. 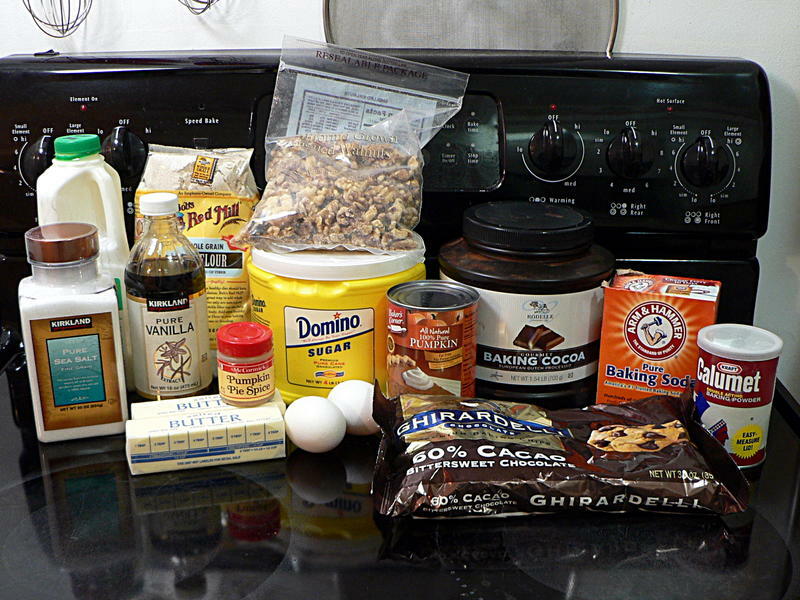 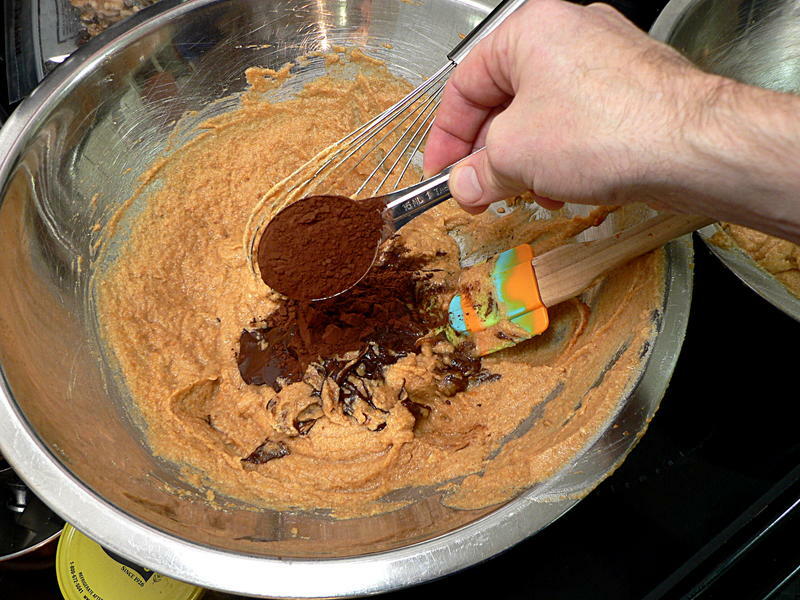 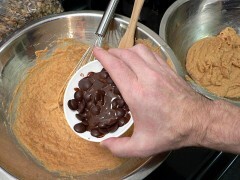 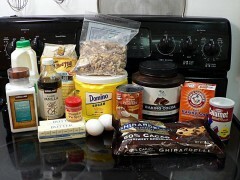 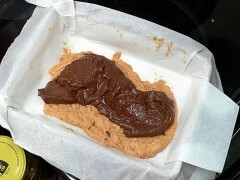 Melt the dark chocolate and add to one half the batter, along with the cocoa powder, and stir. Line a shallow pan with parchment paper. (The one I used is 9¼ x 6½ inches.) 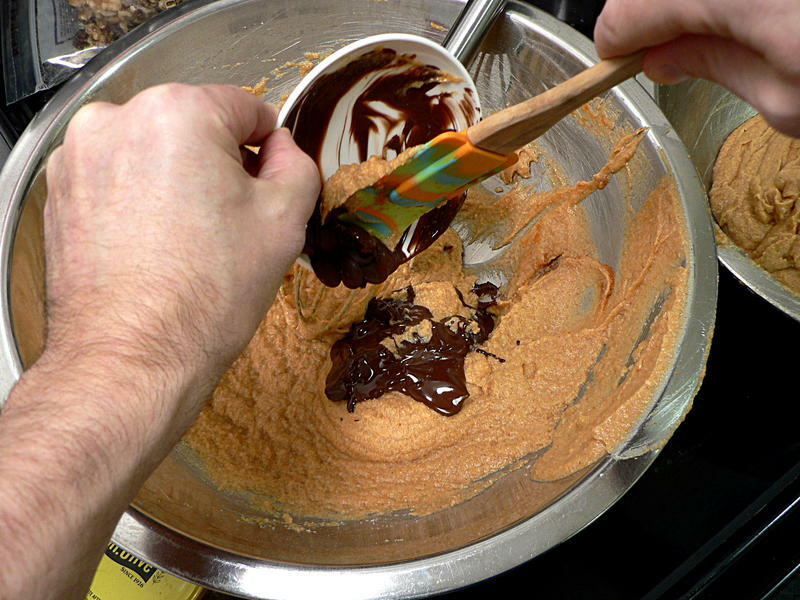 Add half the plain batter and half the chocolate. Then another pair of layers like the first, and drag a knife or scraper through the batter to swirl the colors together a little bit. … and bake at 350° for 45-55 minutes, until a toothpick inserted in the center comes out clean. 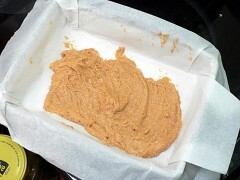 Allow to cool for about 15 minutes, then lift the parchment out onto your serving plate. 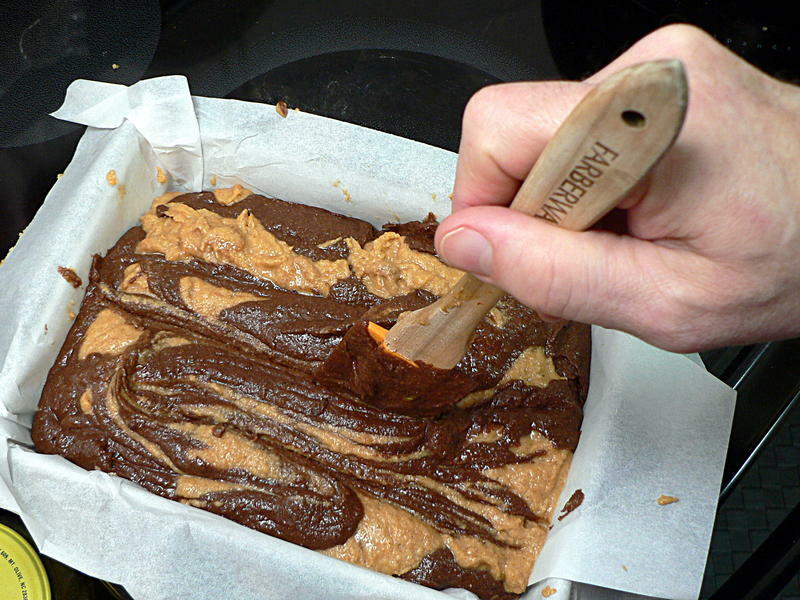 Fold the end of the paper under and peel it out from underneath. 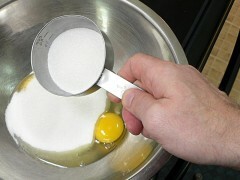 In a second bowl, mix the eggs and sugar until smooth and creamy. Stir in the melted butter and vanilla. Finally, stir in the pumpkin. 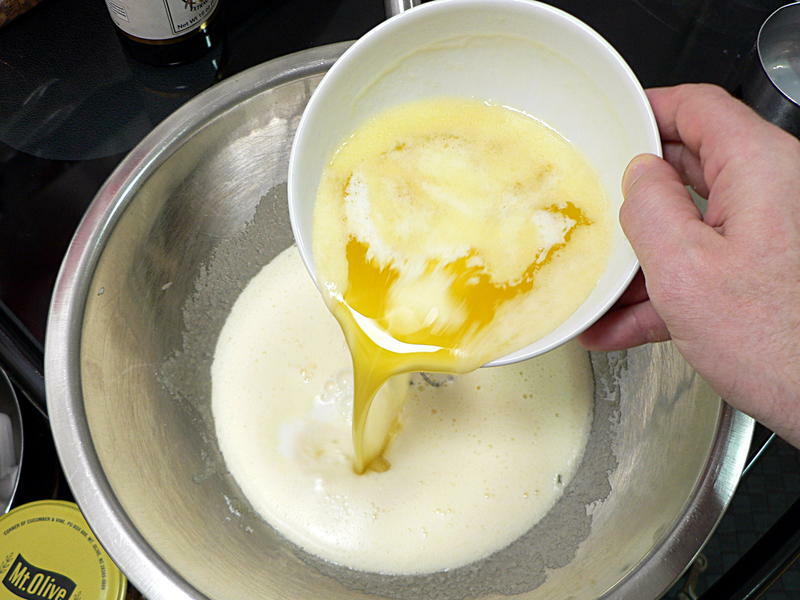 Divide the batter in half. Melt the dark chocolate and add to one half the batter, along with the cocoa powder, and stir. Line a shallow loaf pan with parchment paper. 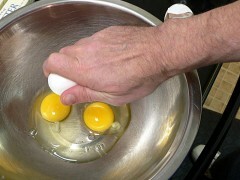 Add the two batters in four alternating layers. 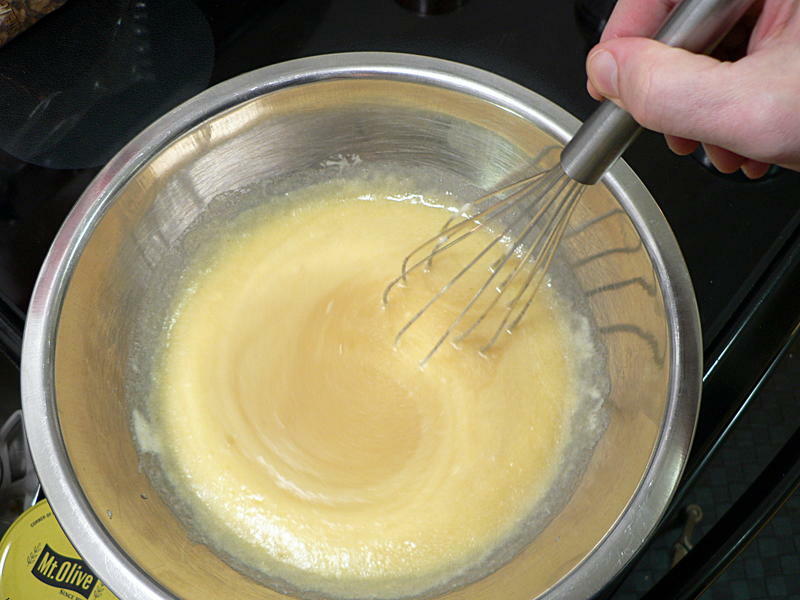 Swirl gently, but don't blend. 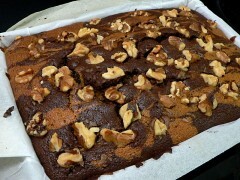 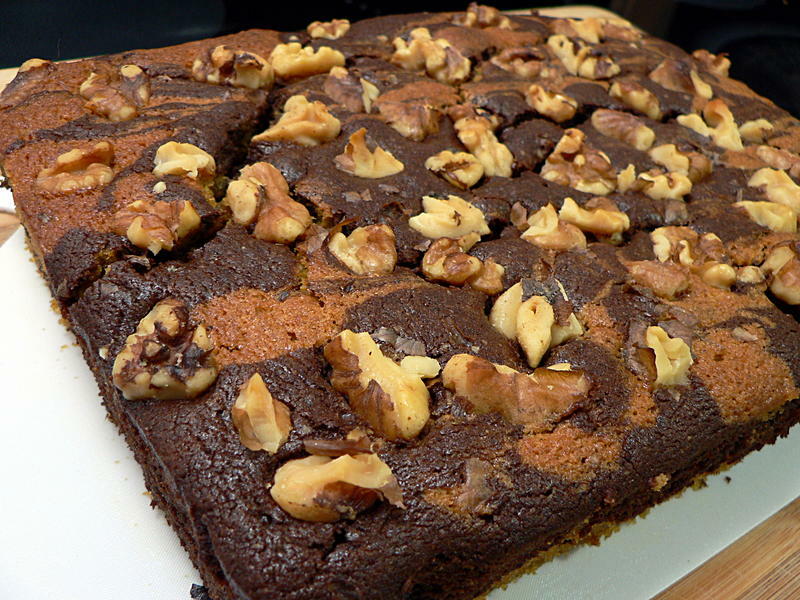 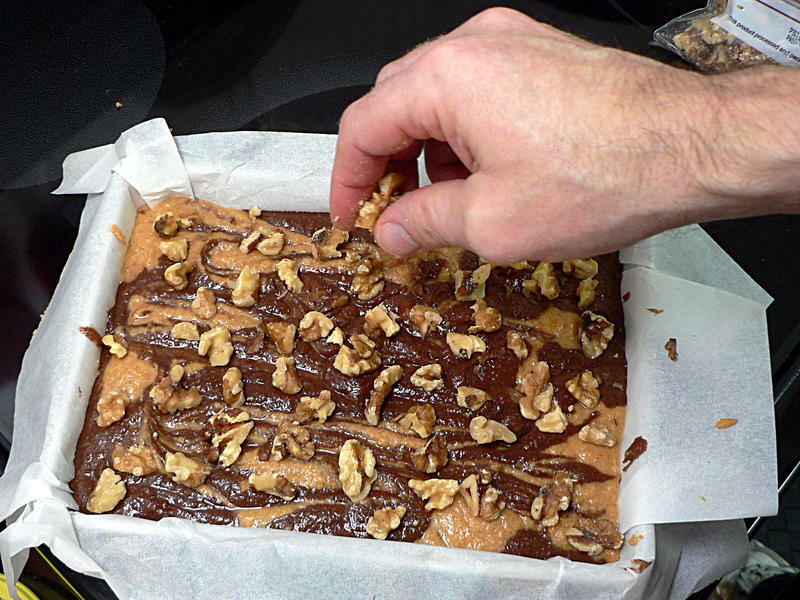 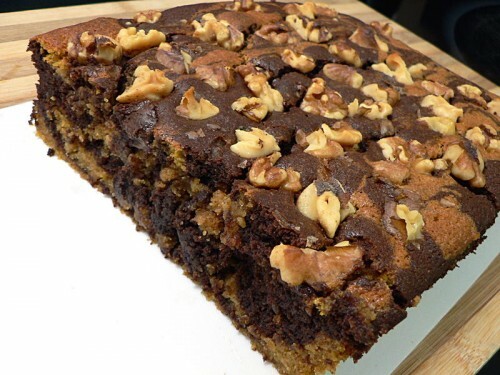 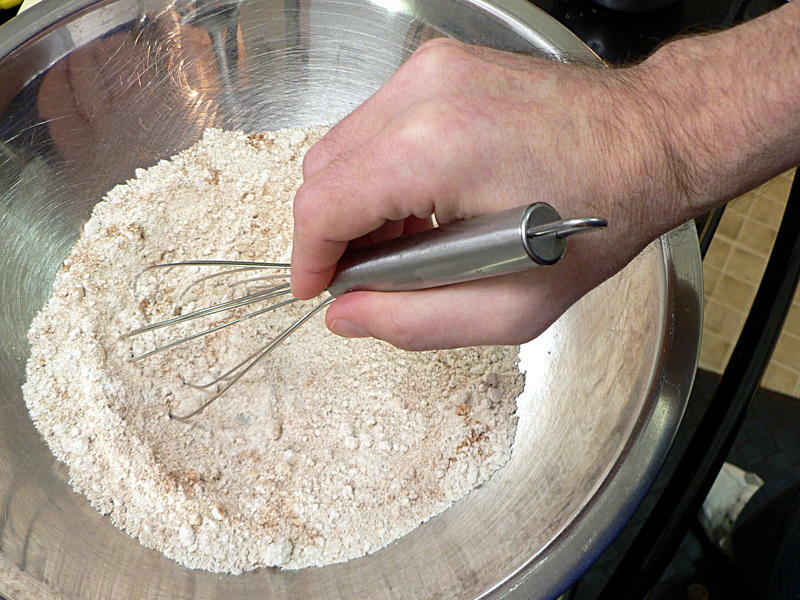 Top with nuts and bake at 350° for 45-55 minutes, until a toothpick inserted in the center comes out clean.